I did some expensive couch surfing (read: stayed in a spare Airbnb room in a host’s home) in Bergen which turned out to be an awesome idea. Our host, Tor Martin, was really cool and gave us some neat suggestions on what to do on our way out to Årdal. Stegastein was one of them. Stegastein is located on the Norwegian National Tourist Route from Aurland to Lærdal. 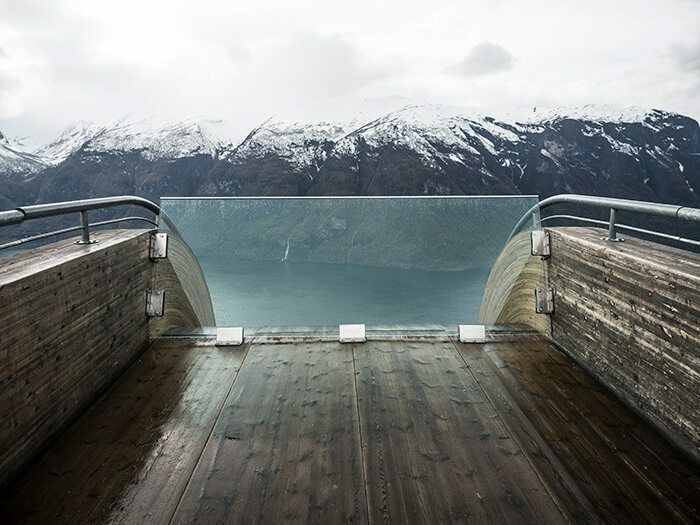 This platform towers 640 meters over Aurlandsvangen and juts out into the air providing breathtaking, panoramic views of the UNESCO World Heritage Site, Næroyfjorden. 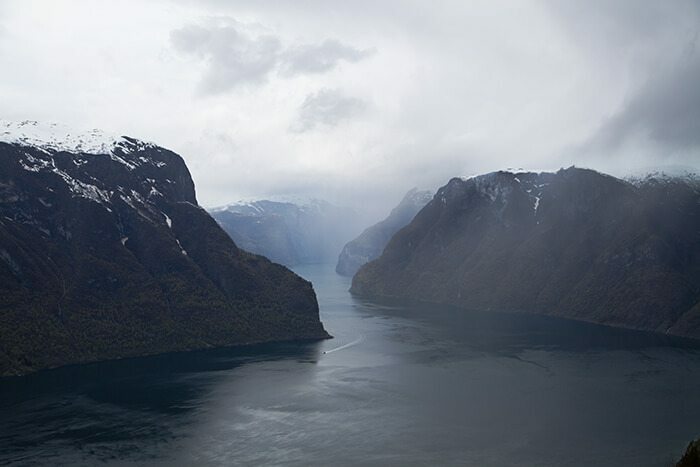 Næroyfjorden is one of the longest and deepest fjords in the world. 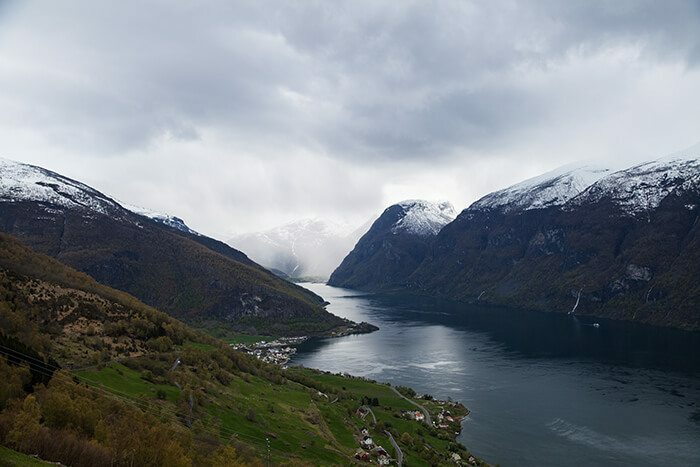 This famous fjord is also the inspiration behind the town of Arendelle in Disney’s “Frozen”. 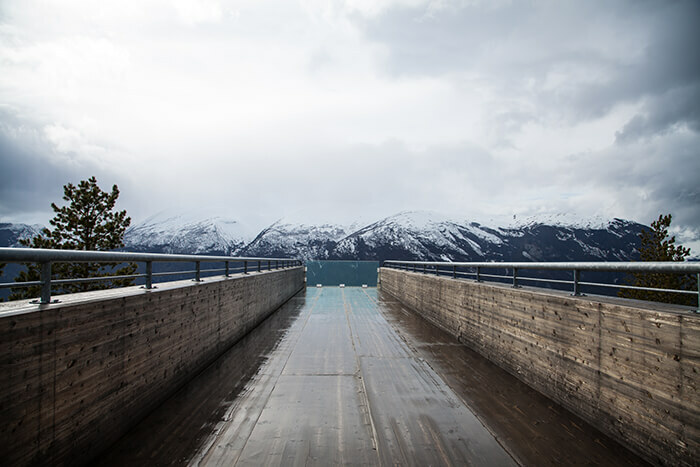 With bathroom facilities and a large parking lot, Stegastein is a great spot to stretch your legs. It doesn’t get any better than this. Stegastein is only a 15 minute detour off of E16. Visitors can also choose to stop by Ås on the way up for equally excellent photos before continuing on. From here, the road continues to Lærdal, passing by two more viewpoints, Flotane and Vedahaugane. 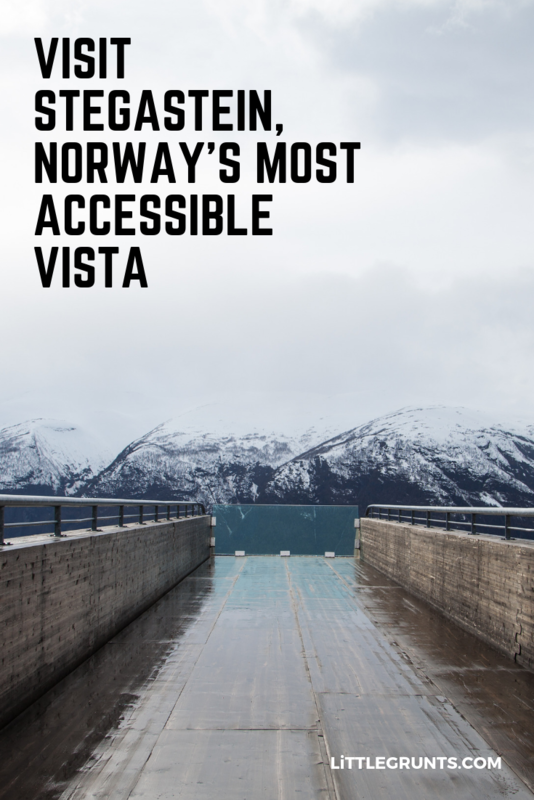 Alternately, you can opt to head back down to Aurlandsvangen. 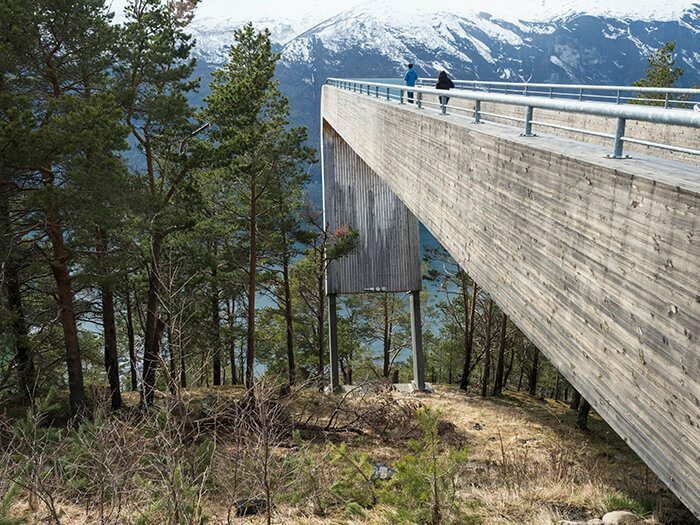 This route takes you through the longest road tunnel in the world. It’s 15.2 miles (or 24 kilometers) long. Enjoyed Stegastein? Visit Trolltunga. Hike Jotunheimen National Park.